Peter is a consultant, trainer, and coach, based in Munich. He began his career as a Java software developer in 2001 and moved into consulting in 2006, where he has been supporting his clients in the roles of software developer, software architect, technical project manager and team lead. 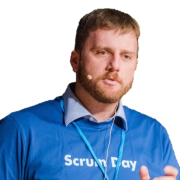 Peter is a very experienced Scrum Trainer and Scrum Coach, who has been assisting teams in adopting Scrum since 2008. He offers the PSF, PSM, PSPO, PSD and SPS trainings and works mainly in Europe, but also travels to more distant places. Peter has experience in the following technologies as a Professional Scrum Developer Trainer.